Chicken fingers. I haven’t met a kid yet who didn’t get excited about chicken fingers. It’s dead easy to make chicken fingers at home. Even if you’re gluten free, you can enjoy chicken fingers with your little ones. Simply dredge your sliced chicken in coconut milk and then dip in a mixture of almond flour and coconut. Salt and pepper to taste. Spritz with some olive oil and bake. Serve with a little Dijon/honey mixture. Yum! Soup. Soup doesn’t have to be a long, drawn-out affair! You can put a delicious pot of soup on the table in a relatively quick period of time. Take stock of what’s in the refrigerator and use your imagination. Start with a homemade broth (cheaper and easier than the stuff in the carton) and add whatever you like, but always start with onions, carrots and celery for a good starting place. Chicken is a great cheap protein—take advantage of sales at the grocery store, stock up and then make some great freezer meals for later! All home cooks appreciate the ease of accomplishment of doing dinner the one-pot way. When your family is busy and going in a million different directions, being able to make dinner in one pot, plunk down a salad and yell, “Dinner!” in the time it takes to boil pasta, is critical mass for any hectic family’s arsenal of timesaving tricks. Fifteen years ago, I entered a cooking contest called Not Your Mother’s Tuna Casserole. 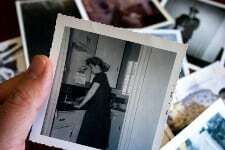 They were looking for a newer, hipper tuna casserole recipe, not that kind we all hated as kids with nasty canned peas or cream of mushroom soup. The rules of the contest had the following criteria: one pot, no canned soups (had to mention it again—you know how I feel about canned soups!) but allowed you to use ONE convenience food. Interestingly, I had a recipe that I had made up one night when inspiration and ingredients were both lacking. It met all of the above-mentioned guidelines and in fact, had become so popular with my kids that they requested it more than once for their birthday dinners! So on a lark, I entered the contest. When I won, I decided fate was calling me and I became a cookbook author (7 cookbooks and counting!). Yes, you could say the rest is history! So without further adieu, here’s the Grand Prize winner in all her glory. Enjoy the fruit of my first labor! Tuna makes a great pantry staple to use in case of emergency. 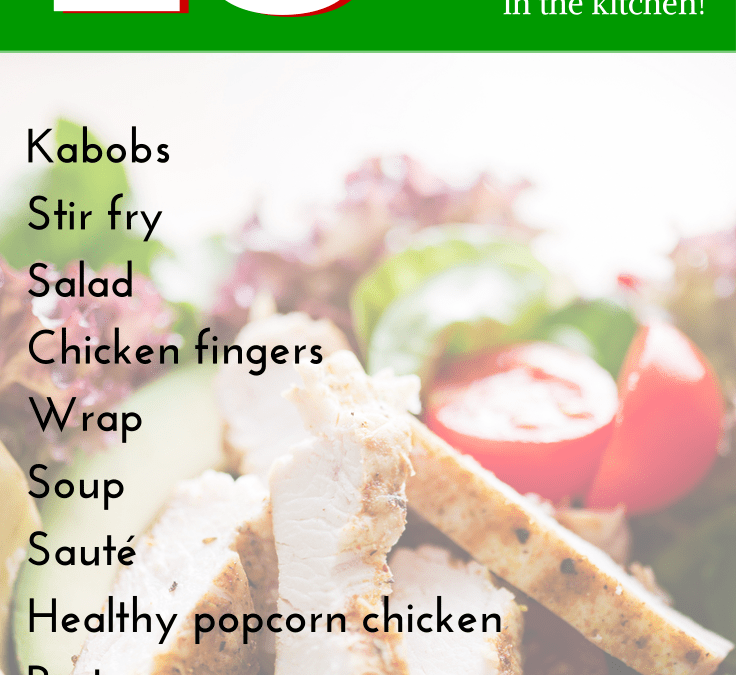 Check out our full line of emergency menus here! As many of you have noticed from posts on our Facebook page, Saving Dinner Fundraising has been touring the country with the PTO Today expos the last couple of months. It’s been a busy time for us, visiting eight states in eight weeks to introduce the program to hundreds of the country’s PTO leaders. These PTO leaders attend these events to find a fundraising program for their school. We are there to introduce them to Saving Dinner Fundraising, a simpler, healthier way to way to reach their fundraising goals! Our experience at these events has been overwhelmingly positive. 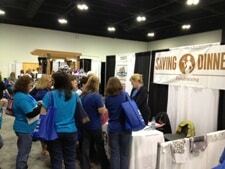 Many of the PTO members we have met are like a lot of you. They are tired of selling, or buying, those same old unhealthy products year after year to help raise needed funds for their school. Our booth has been a popular stop at these expos, as we really stand out in a room full of companies offering chocolate, cookies, and pizza as fundraisers. We are of the opinion that the current way to fundraise (with unhealthy food, chachkis and overpriced products) is unacceptable. Our vision is partnering with schools to help them meet their financial goals with a generous 50% split and at the same time, help them get their families back to the dinner table. We look forward to helping many of these great schools raise funds this Fall and spreading the mission of Saving Dinner. We would love to introduce this program to your PTO or PTA. Pop us an email to info@savingdinnerfundraising.com and we will send you a custom presentation on how the Saving Dinner Fundraising program works and how your school can earn a whopping 50% profit from everything you sell, from dollar one without having your kids go door to door selling because the whole fundraiser is done completely online. It’s a revolutionary way to do fundraising, it’s easy and it’s good for all. When you’re using fresh herbs, use kitchen scissors to snip them and skip the knife and cutting board which crushes them. Kitchen scissors should be standard issue in any kitchen. I couldn’t live without mine! When storing tender, leafy herbs like basil, cilantro, dill and the like, snip the ends off and store in the fridge in a vase of water. Don’t use a water glass; it will tip over from the top heavy weight of the herbs (ask me how I know!). 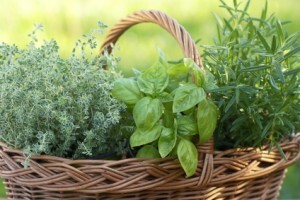 Your herbs will appreciate the delicate treatment and reward you with freshness when it’s time to cook! While pasta is cooking, saute beef in a large skillet until browned; drain well. Add taco seasoning mix and water; simmer for 5 minutes, or until thickened. Add beans and cheese. Cook until smooth and well blended. When pasta is done, drain well. Fill shells with beef mixture (1 to 2 tablespoons per shell). Combine Picante sauce and tomato sauce in a saucepan. Cook until heated, stirring occasionally. Spread 1/2 cup of the sauce over the bottom of a 9- x 13-inch baking pan that has been coated lightly with olive oil. Place filled shells side by side on top of sauce; pour remaining sauce evenly over shells. Sprinkle with olives. Cover with aluminum foil; bake for 35 to 40 minutes, or until thoroughly heated. Sprinkle with green onions. Cover and let stand for 5 minutes before serving. Serving Suggestion: A nice green salad is all this rich dish needs. Enjoy! 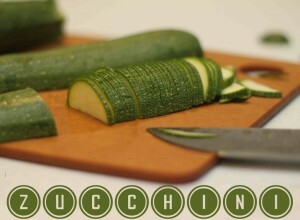 Today’s focus is on: Zucchini! 1) massively low in calories—one large zucchini is only 16 calories! 2) plenty of phyto nutrients including beta-carotene, B vitamins, a little vitamin C and plenty o’ potassium! 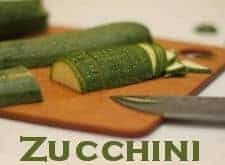 To change things up, I grate my zucchini, sautéing it in garlic and olive oil, topping it with a little freshly grated Romano cheese and fresh ground pepper. Nice side dish and almost rice-like or pasta-like in texture. Prepare orzo according to package directions; Drain and rinse under cold water. Drain again very thoroughly. Place in a large bowl. Stir in the zucchini, olives, green onions, celery, tomato, and green bell pepper. In a small bowl, beat together the olive oil, vinegar, garlic, oregano, dill, salt and pepper. Pour over the salad and toss to coat well. Sprinkle on the feta cheese and toss again. Add the mayonnaise and toss gently. Chill at least for 2 hours and bring to room temperature before serving. SERVING SUGGESTION: Serve with a simple caprese salad: sliced ripe tomatoes, layered with fresh basil leaves, sliced mozzarella and drizzled with extra virgin olive oil. Fresh ground pepper over the top finishes it beautifully. 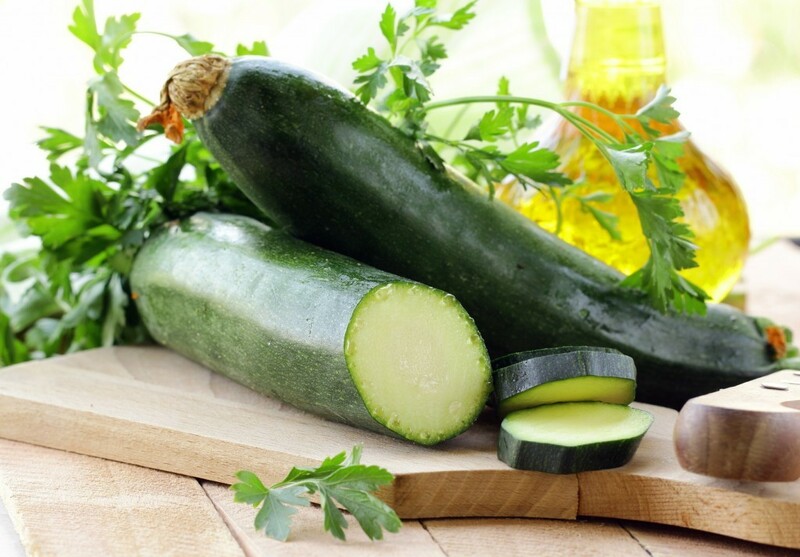 Want more recipes for zucchini and other fresh veggies? Check out our Vegetarian Ebooks. I am a big believer in planning your menus and knowing what’s for dinner (good thing because I am the Dinner Diva! ), but sometimes, even best intentions get thrown to the wayside. Stuff comes up, things happen, and you need an alternate plan—and I’m not talking drive thru! What to do? Go to the pantry! 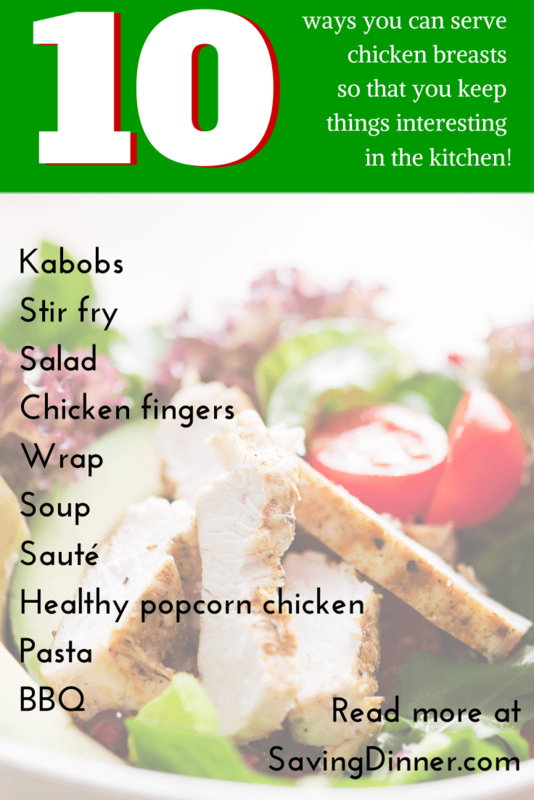 If you use my list, you’ll walk away with ingredients for a quick, satisfying dinner and if you’re able to scrounge up a reasonable facsimile of something resembling a vegetable, it will even be a balanced meal. But before we go there, let’s build that pantry, shall we? All manner of tomato products, diced tomatoes, whole tomatoes, spaghetti sauces, pizza sauce, tomato paste, salsas. I keep a variety of sizes available, too. 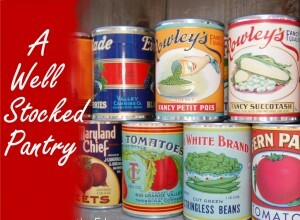 Canned beans: black beans, pinto beans, kidney beans, garbanzo beans, whatever bean you can find that you’ll eat. It’s less expensive to use dried beans, but these are still cheap and will work in a pinch. I’m also fond of already canned baked beans, bean dips. You can doctor them with a little bacon and some brown sugar and they taste like homemade. Canned fish: tuna, salmon, crab, clams. 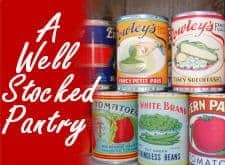 Canned fruit and vegetables: stock the ones you like and will use. I have pineapple, applesauce, mandarin oranges, pears, peaches, whole cranberries, cranberry sauce, pumpkin, corn, olives, roasted red peppers, jars of tapenade, mushrooms, artichoke hearts, pesto (tomato and basil), canned chilies, tomatillos, anchovies, capers. Canned soups and broths, etc. : stock the ones you use. I use a lot of chicken broth (low-sodium has more flavor), beef broth, vegetable broth and bottled clam juice. Canned milk: sweetened condensed, evaporated—all work great in baking. Ketchup, mustards (yellow, Dijon, whole grain), pickles (dill and sweet), relish, mayonnaise, A-1, Worcestershire sauce, Tabasco, stir fry sauces, soy sauce (low-sodium, if you can find), teriyaki sauce, horseradish, cocktail sauce, Once opened, store in fridge (except soy sauce). Vegetable oils of choice (I like a cold pressed grapeseed oil & coconut oil for high temperature cooking), olive oil, sesame oil for stir fry. All oil will go rancid staying out. After it is opened it has to go in the fridge, except olive oil. White and red wine vinegar, apple cider vinegar and balsamic vinegars. Peanut butter (crunchy or creamy), almond and cashew butters, jelly, jam and fruit spread or conserve, honey. My peanut butter needs to be refrigerated after opening–that’s the kind you want to buy. To keep the price down on these spices, go to a dollar store or Wal-Mart to stock up as much as possible. You can also go to a health food store and buy everything you need from the bulk jars. This is the best place get quality spices and be frugal at the same time, believe it or not. I’ve bought the freshest spices at the health food store for thirty-five cents each. Basil, thyme, marjoram, rosemary, dill, garlic powder, onion powder, cayenne, red pepper flakes, cumin, chili powder, paprika, oregano, ginger, dried mustard cinnamon, peppercorns for the peppermill, nutmeg and curry powder are in my spice cabinet because I USE all of them. I also use sea salt and kosher salt and have both of those in my spice cabinet. Only buy what you use. Lasagna noodles, spaghetti noodles, ziti, rotini, fusilli, fettucine, linguine… only what you use. Boxed macaroni and cheese (try the natural white cheddar kinds). Rice—I much prefer brown, but get what you’ll use. I’ve also got basmati, wild rice and some blends and mixes. Oats, split peas, dried beans (white beans, navy beans, black beans, pinto beans), lentils, barley, couscous, quinoa. Whatever you use. Bread should go in the freezer if it doesn’t get used up right away. Tortillas should be stored in the fridge—I prefer whole wheat (without transfats) tortillas for burritos and corn tortillas for tacos and fajitas. Russets, Red Rose potatoes, sweet potatoes, butternut squash (or other whole squash in season, except summer squashes which need refrigeration) brown onions, red onions. Keep potatoes away from the light or they turn green. Also, don’t store potatoes next to apples. Apples give off a gas that causes potatoes to sprout. Coffee, assorted teas, hot cocoa, etc. Here is a great pantry meal that will take you as long to make as it takes the pasta to cook~! Prepare pasta according to package directions. Drain. While pasta is cooking, drain the juice from the canned clams into 2 cup measure then add enough chicken broth to make 2 cups liquid. In skillet, melt butter over medium-high heat and sauté the pressed garlic. Stir in flour. Cook on low for about 1 minute, stirring constantly. Gradually stir in clam/chicken broth liquid, clam juice, thyme and Tabasco sauce. Bring to a boil and simmer 1 to 2 minutes. Stir in clams, parsley and lemon juice and heat through. Add salt and pepper to taste. Serve over hot linguini. 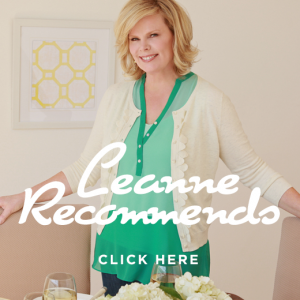 What are some of your pantry “must haves”?